Among his duties while working in Sacramento was to help research proposed legislation. At the age of 21, Sergio has an undying love of politics. He has already interned for two state lawmakers and hopes to pursue a career in politics. He plans to commit himself to changing his community, but there is one catch: Sergio is in the country illegally; he can’t even vote. "It is something that I am really passionate about, but because of my position, it gets really frustrating," Sergio said. A student at San Diego State University, Sergio graduated from San Diego High School with a 4.3 GPA and entered SDSU with a full, privately funded scholarship. Sergio is an active student leader at SDSU. 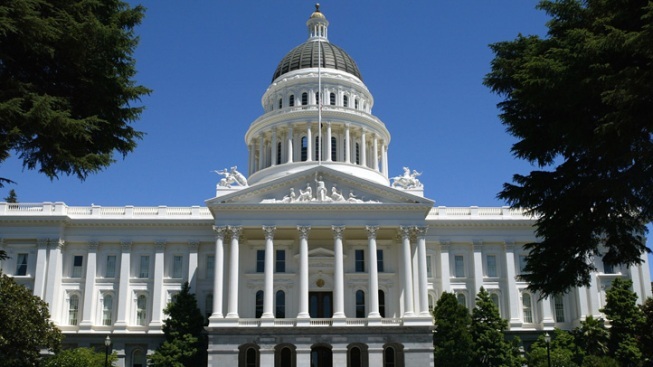 Over the past few years, he has traveled to Sacramento for various paid fellowships, including two at the state Capitol with California State Assembly Members Tony Mendoza (AD-56) and Assembly Member Marty Block (AD-78). Sergio’s outgoing personality has helped him make several connections and friendships, which have helped him jump over obstacles that could stop him from completing his education. Sergio is one of an estimated 600 illegal immigrants attending college in California. Assembly Bill 540 allows undocumented students to attend college, and the DREAM Act allows them to get financial aid. The state Assembly passed a bill Monday that would allow video recorders to be installed on vehicles' dashboards, raising concern about drivers' privacy. "I always figure out a way," Sergio said. "At some point, it has been working within the resources that I have. I have been grateful to make connections and make some really great friendships." He says his friends tease him about going to work in politics but not being able to vote. "For example, when I was working with Assembly Member Mendoza or Assembly Member Block's office, I was actually advising the member on how to vote on certain things by collecting information, by analyzing bills, by doing things that other people are not able to do." Sergio spent this past July in the Sacramento office of his local assembly member Marty Block. Sergio used his connections to find a place to stay during his internship. Sergio was lucky enough to find a place to stay with a staff member of a high-ranking assembly member. Sergio’s fellowships, both of which awarded a $3000 stipend, were administered by two private non-profit organizations, the Chicano Latino Youth Leadership Project and the Equality California Institute, and were funded by Comcast, which owns this website and television station. During his time in Sacramento, Sergio spent time working with Assembly Member Block’s legislative director Margaret Pena. How does a student fearful of being caught and deported end up roaming the halls of the state Capitol? The answer can be found in Assembly Bill 540 and the Family Educational Rights and Privacy Act (FERPA). Undocumented students like Sergio can enroll in public California universities and community colleges without fear of persecution. Assembly Bill 540 allows students who meet residency requirements to pay in-state tuition regardless of their citizenship. FERPA makes sure all student records are sealed and used for educational purposes only. Schools are not responsible for checking the citizenship of their students. During Sergio’s first fellowship with Assembly Member Mendoza, he says he made it known he was an undocumented student. "On that first fellowship, I sent my application, (and) I said that I was undocumented," Sergio said. "I actually implied it. I do not say it directly, but people figured it out. And then they knew that I was undocumented. Pretty much all the staff at the Capitol and even the Member read it." To Assemblyman Mendoza, Sergio's status did not outweigh his capabilities. "He is one of the best and brightest our community has to offer, it would be a great loss if we don't embrace students like that," Mendoza said. "He did a great job in our office. These individuals deserve the right to be employed in our country." In his next fellowship with Assembly Member Block, Sergio says he did not disclose his citizenship. "In my second fellowship with the EQCAI (Equality California Institute), I didn't mention it and it wasn't an issue that was addressed whatsoever," Sergio said. "At some point, it didn't need to be addressed." Assembly members are responsible for hiring their own interns and checking their qualification and background, said Jon Waldie, chief administrative officer with the Assembly Rules Committee. Waldie says unless an individual is going to become a full-fledged employee, they probably wouldn’t catch the person’s citizenship status. “If he was going to be an employee we would find out, but an intern, that would be highly unlikely,” Waldie said. When asked for a comment on Sergio's internship with his staff, Assembly Member Block sent NBCSanDiego a written statement that says the process of using interns is part of his duty to teach the next generation. Under federal law, if either assembly member had called the school to check the legal status of their intern, the school officials would not have been able to tell them. Unless assembly members require U.S. citizenship as part of their internship programs, the students would not be required to disclose their citizenship status. Neault says students within the San Diego Community College are given requirements for all internships up front before they apply. Sergio hopes to eventually become an assembly member or even governor. “I do want to dedicate my life for public service, but because of the situation I am in right now, it is almost impossible for me to do it,” Sergio said. The key for Sergio is to finish college and then apply for his U.S. citizenship. He wants to wait for his diploma before taking the risk of being deported if his application is denied.